On 15 September 1745 a Jacobite army was at the gates of Edinburgh. Charles Edward Stuart had arrived to attempt to regain the Scottish throne for the exiled House of Stuart. The gates of the city were opened on the 17th and the Jacobites entered. On 18 September King James VIII was proclaimed with Charles as his Regent. 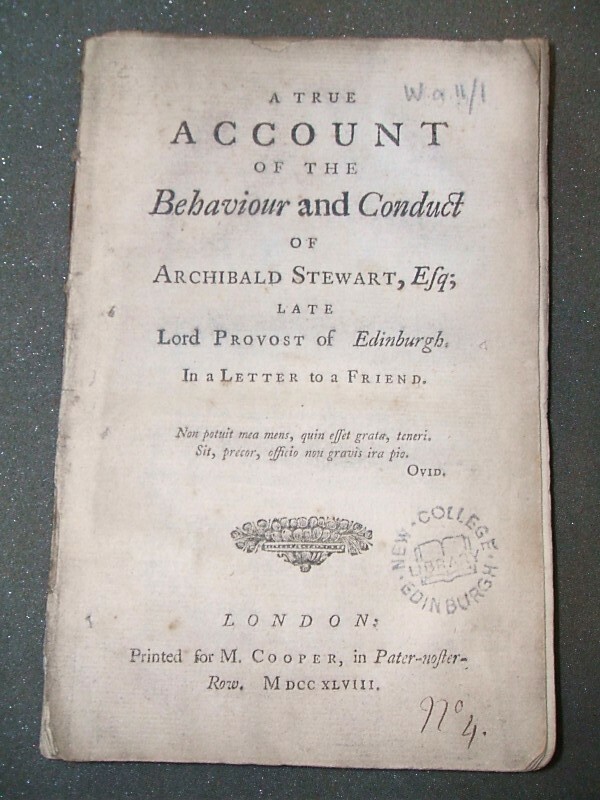 This pamphlet, A true account of the behaviour and conduct of Archibald Stewart, Esq., late Lord Provost of Edinburgh (1748), looks back on this moment in time. Although anonymous, it is known to have been written by David Hume, the Scottish philosopher. Stewart was Provost at the time of the Jacobite Rebellion and refused to arm the city against the Jacobite highland army. For this decision he was tried at the High Court for neglect of duty and misbehaviour in 1747 and acquitted. Hume’s pamphlet was written in his defence. 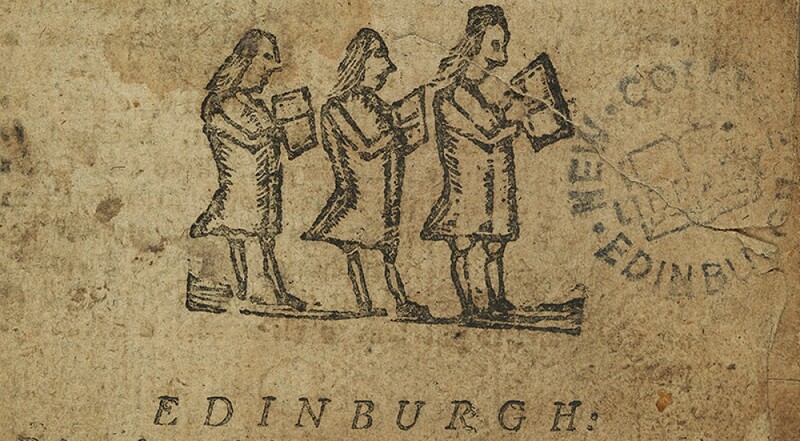 This item is part of New College Library’s Pamphlet Collection and has been catalogued online as part of the Funk Cataloguing Projects – see the University of Edinburgh Library online catalogue.